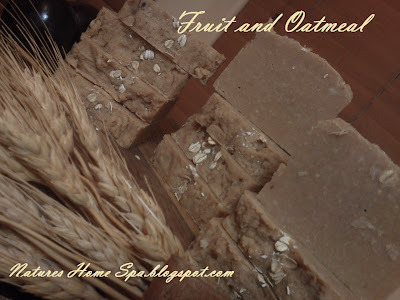 For a great fall inspired soap, I paired fruit preserves and oatmeal, and came up with a really great bar of soap. The lather is fab. And the soap is sooooo mild. Warm with just a hint of fruit. You can use your favorite basic soap recipe and add fresh fruit puree in at trace and blend well. I added 3oz of berries pureed in 40oz of oils. And 2 TBL of finely ground oats. Tip: use fresh or frozen fruit, not jarred preserves or jam..... I tried it CP and the soap stayed soft due to the citric acid in the fruit preserves. I won't make that mistake again. For my liquid I used some creamy goats milk and a bit of Arizona rain water, my fav. I added strawberry FO just to give it a bit of a fruity scent, as the fresh fruit scent does not come through the soaping process. You can do this Hot Process or Cold Process. Pictured is my HP batch. Hi Anna. This soap looks beautiful and smooth. What kind of berries did you use? Hi again Kirppu! I used raspberries, strawberries, blackberries and blueberries puree. Added at trace about 3 oz. Soooo nice! Kirppu, oh wow, green! Who would have thought! 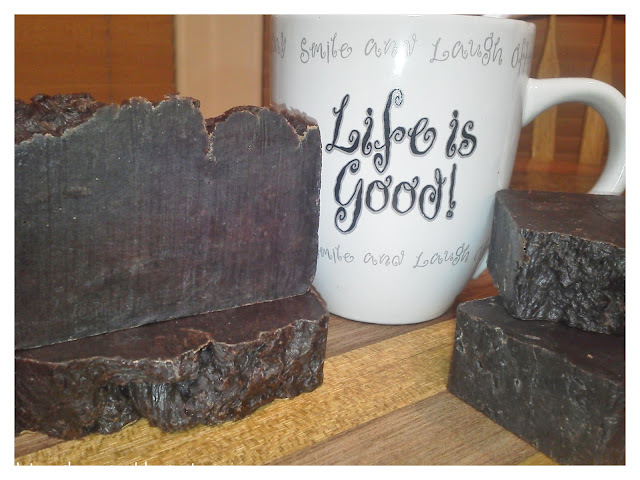 It really is interesting the chemical changes that happen in soap making! This soap is Hot Processed, and as you can see, I lost all individual colors. Sigh. Hi there! 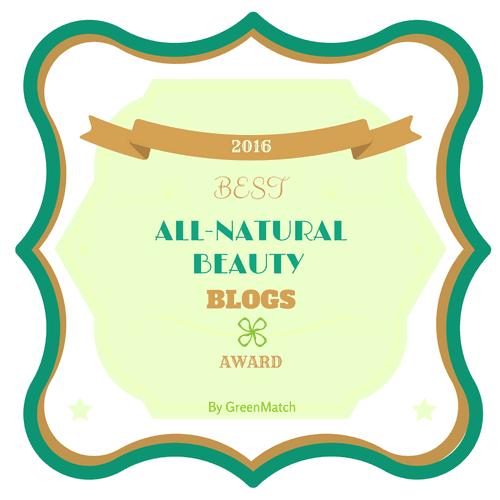 I love all the interesting ideas for additives that you have on your blog! I'm feeling inspired now. :) I was wondering about this recipe. With hot process, I usually add any additives after it cooks, but you mentioned adding at trace. Was that only for CP, or did you add your fruit puree at trace for HP too? Hi Jenna, sorry for the late response! When adding fruit puree or vegetable puree such as carrots, pumpkin, cucumber etc I add it at trace in my HP soap. I make sure it is creamy, no chucks at all. I sometimes will add it frozen to my water before adding the lye as well. Just depends on what I'm making. Hope this helps. Care to follow us on Facebook? How to use rice in homemade soap. Natural beauty treatment with rice. How to make milk lotion. 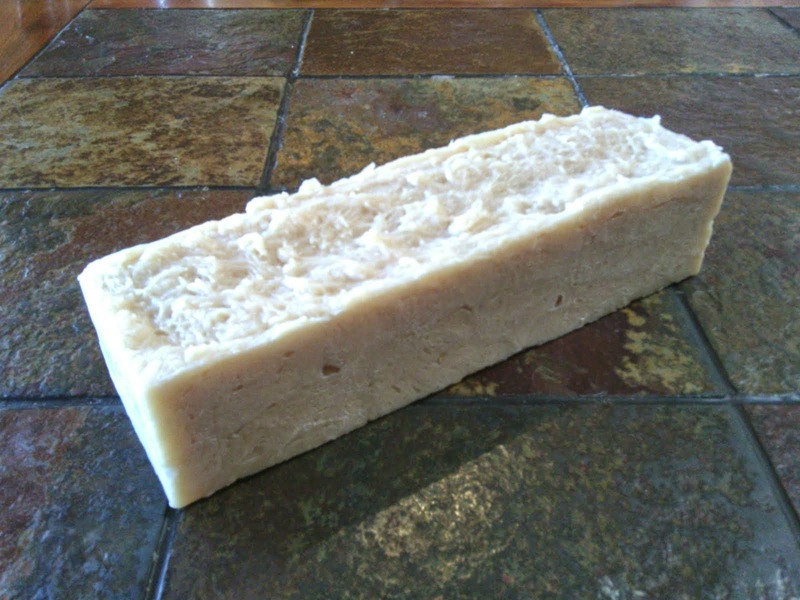 Contact me for a 3 Lb Goats Milk Soap or Olive Oil Soap Loaf, that you cut yourself ! Homemade goodness you can now buy in bulk, cut yourself, keep for yourself or sell. High quality ingredients to moisturize, soften, pamper the skin. Contact me for: Cleansing Grains for soap free facial cleansing. 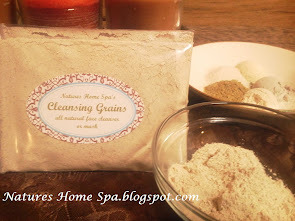 The all natural beauty method for soap, detergent free facial cleansing. Cleanses, exfoliates and nourishes your skin, naturally. One in a Mel'lion Shout Out ! 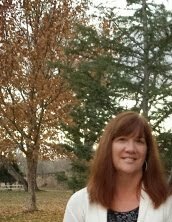 Anna is Blog Editor of Natures Home Spa.blogspot.com She is a mom and housewife who loves God and thanks Him daily for His son Jesus Christ and His power to change lives. And who works in her home cottage industry. Follow by Email...Your email will not be given or shared with anyone else. I don't even see it!